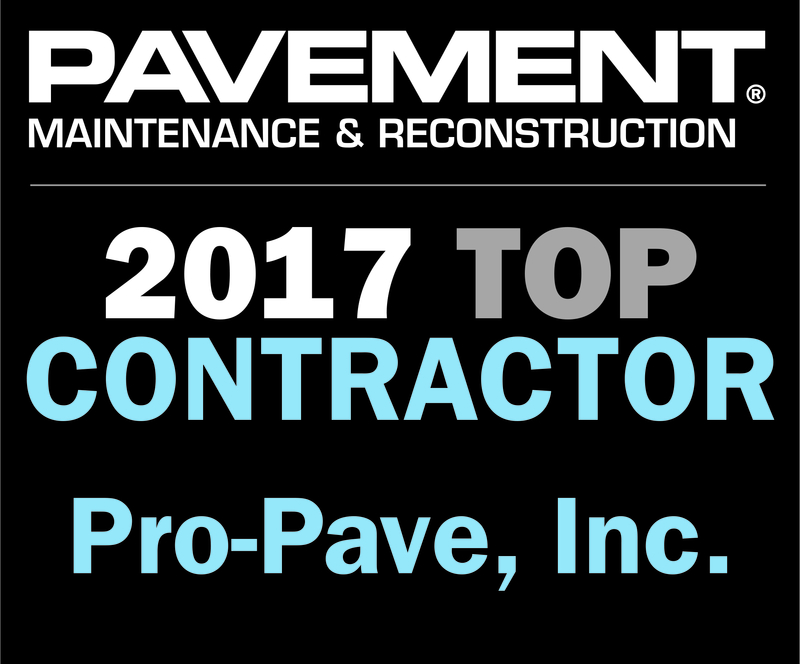 For the third year in a row, Pro-Pave, Inc. has been named a Top Contractor by Pavement Maintenance & Reconstruction magazine. Once again, the Mid-Atlantic’s asphalt and concrete paving experts were ranked among the industry’s best in the Pavement, Pavement Repair, and Sealcoating categories. This year’s Top Contractors were selected for five industry segments – paving, sealcoating, striping, surface treatment, and pavement repair – by the Pavement Maintenance & Reconstruction editorial staff. Honorees met a set of criteria including gross sales volume for 2016, a breakdown of the work that generated those sales, and third-party verification of the sales total. 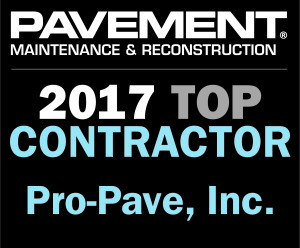 Pro-Pave will be featured along with its fellow “2017 Top Contractors” in the June/July issue of Pavement Maintenance & Reconstruction, as well as a feature story on the construction web portal, ForConstructionPros.com.